✅ Trip Verified | Milan to Bangkok. 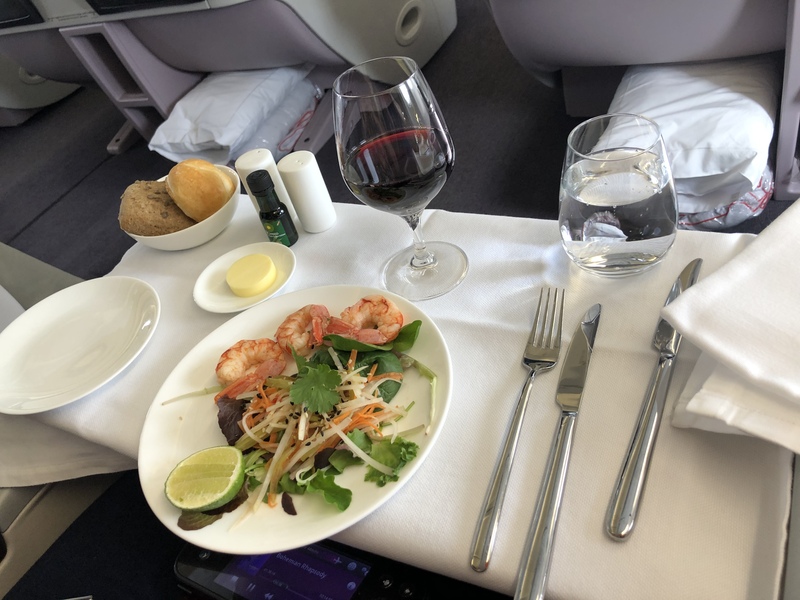 They appear to me to be a no frills Business Class. Food is poorly presented and attentive service non existent. One of the crew on the return leg was quite rude and uninterested. Upon boarding I walked past him and turned right towards economy but there are one row of business there in between the galley and economy. My locker was full of crew bags. I walked back to inform him there was no space and he said “surely not”. I stood for minutes while he continued to mess about with trays and eventually came with me to investigate. He got a shock when he realised I was a Business Class passenger. My short list of what I feel is not in keeping with a proper business product. Staff attitude. 2) Food quality and presentation. Movies very limited. No fast track cards issued for Bangkok Immigration. WI-FI not working. Lounge in BKK pretty poor and lunge in MXP worse. ✅ Trip Verified | Naples to New York via Milan. Air Italy lost my suitcase and the customer care was impossible to contact. I called the number 078952600, they transfered my call and never answer, I tried to call back and they picked up and hang up right away. This is shameful! Customer care on facebook was handled by automatic responses and was telling me to do the things I had already done. Even if the flight was good overall, such a treatment has to be condemned. I will never fly Air Italy again. 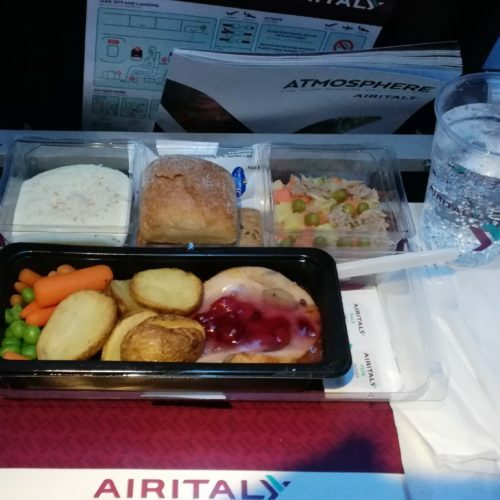 ✅ Trip Verified | Milan to Dakar with Air Italy. 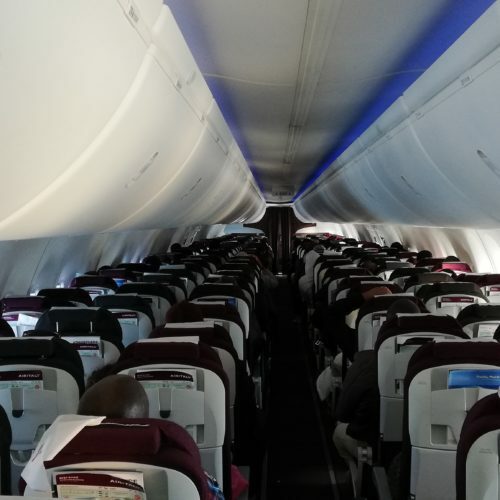 Both flights were on time on new B737MAX8, seats were narrow and if the next seat was occupied you felt cramped. Legroom was 30in, we bought expensive LXseats (2 rows after business + 2 rows by exits). No IFE and for 6 hour flight could be a problem, our flight was a red eye one so we slept all the way. Service was professional and food was plenty and tasty. Overall a good experience. ✅ Trip Verified | Milan to Bangkok return in business. 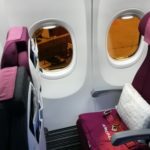 A332 from Qatar Airways are very well mantained, clean, super silent. The flat bed seat is very comfy also mattress is provided together with full pajamas and slippers. Food top quality. Cabin crew service was fantastic, so professional polite and dedicated to their job. It's evident all staff is really looking forward to the new Air Italy brand and expansion project so they are fully customer oriented. I'll fly with them again in the future. "no apologies for the delay"
✅ Trip Verified | Miami to Cairo via Milan. I purchased through Orbitz Economy Premium for my trip with them. My ticket said that I can check-in up to two luggage and I will have priority boarding. When I got to the airport I was denied to check in two luggage even though both of my luggage were under 50 lbs each and that my ticket said that I can check two luggage. The Air Italy staff told me that they have a policy which says that I can only check in one luggage if I am heading to Cairo. After waiting for more than 40 minutes, the head of staff came in and let me check in my two luggage and said to me that there was a confusion about this. There were no apologies for the delay. During boarding, I went and staying in the priority line but the staff started checking in regular economy before they got to us. ✅ Trip Verified | Miami to Cairo via Milan. My bags got delayed on the way there and on the way back causing me a lot of inconvenience, had to go out and spend money that I did not plan on spending buying clothes. I had to make a special trip to Cairo Airport to pick up my suitcase as they don't deliver, had to pay a taxi to the airport and back, paid for a hand cart in Miami to hold my luggage which was a waste as none of my luggage arrived. 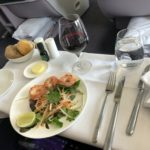 ✅ Trip Verified | I was drawn to Air Italy via an internet fare special $368 round trip from New York to Rome via Milan. 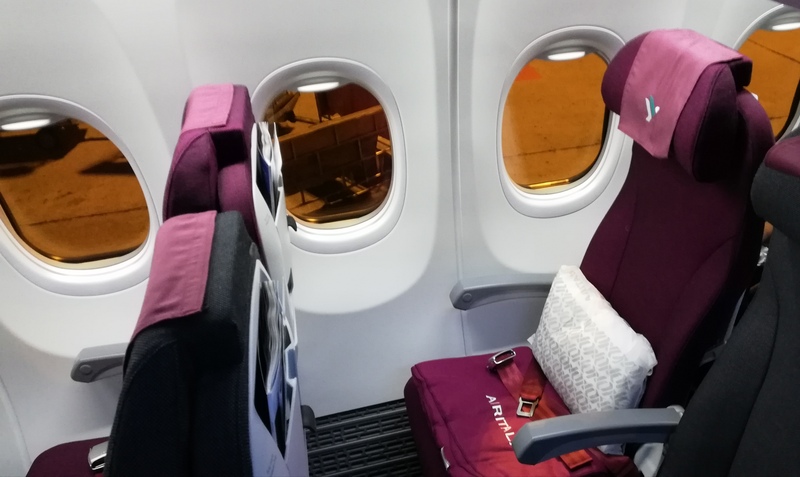 The flight from Milan to Rome is currently operated by Qatar Airways aircraft. I purchased my ticket along with my daughter and her boyfriend. All flights, both directions, operated on time. Service was good! 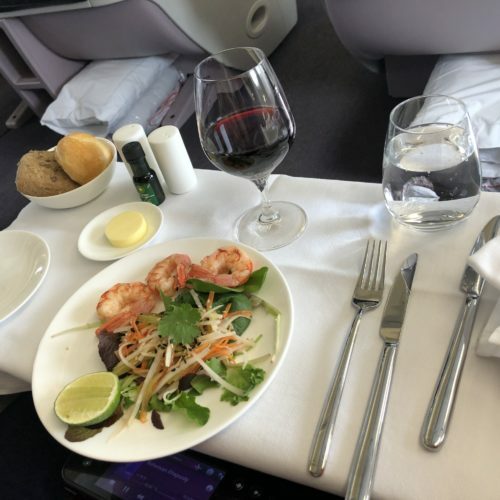 On the flight over, dinner and breakfast was service. Wine, cocktail, juices, coffee, tea, etc. On the return flight from Italy, lunch and snack, along with the above mentioned beverages. The short 1 hour flight from Milan to Rome served a beverage and sandwich. The sandwich was better than the one I purchase at the Milan airport. 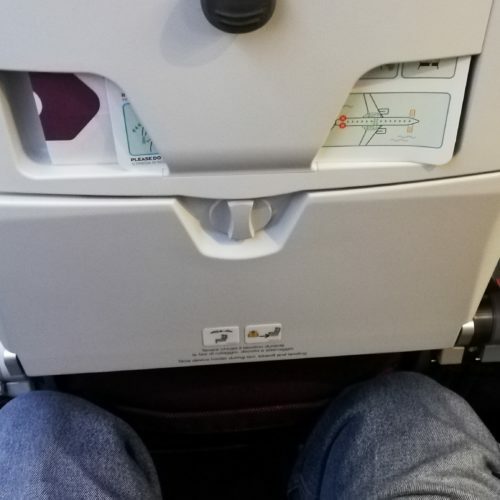 Leg room was about equal to most airlines. You are allowed a carry-on bag 18 lbs max and a personal bag. Note: the carry-on bag will be weighed at check-in. I had my carry on bag and backpack (which wasn't weighed). However, if you plan to shop it will be best to purchase the ticket option that includes 1 checked bag. If you don't it will cost $50 each way prior to departure; which isn't expensive in comparison to the other airlines. Sidebar: Milan and Rome airport have more shopping choices than eateries. ✅ Trip Verified | New York to Milan. Good flight, clean and tidy aircraft, poor IFE and bad headphones. Good meals but with a poor presentation. Friendly staff, with some ups and downs. They have to improve in some places in order to balance the best competition. ✅ Trip Verified | Flew Air Italy from Milan to Rome. Wonderful new airline with brand new airplanes. Cheap tickets, but great service on board. Even got a complimentary drink and snack. Very comfortable seats with adjustable headrest, even on our short flight. Also one of the cleanest airplanes I have seen. "online check in didn’t work"
✅ Trip Verified | Milan to Moscow. Worst services ever. Their online check in didn’t work for me. Tried to pay online for the bag couldn’t do it as well. At the airport paid 50 Euros, instead of 25€ online. Said that if I won’t pay I won’t fly.